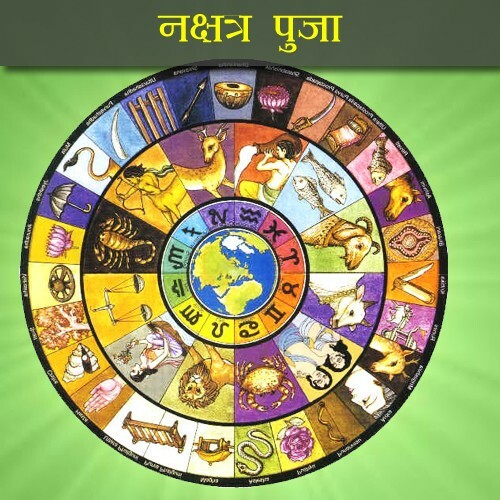 Dasas are the most important tool for timing of events in Vedic astrology.This chapter is not an introduction to Dasas. It is meant as comprehensive summary of their main properties and calculation basics. There are 3 main categories of Dasas: Nakshatra Dasas, Jaimini Dasas and other Dasas. Nakshatra Dasas are based upon the Moon's position in her Nakshatra (lunar mansion). These Dasas are exposed in Brihat Parasara Hora Shastra. Most illustrious are Vimsottari, Yogini and Kalachakra Dasa. But there are a lot of conditional Dasas, too. Moreover there are some other versions of Nakshatra dasas like Lagna Vimsottari (based upon the ascendant in Lunar mansion). Jaimini Dasas are described in Jaimini Sutras of Maharishi Jaimini. There are various other Dasas that can nor be described as Nakshatras Dasas nor as Jaimini Dasas. Examples for these dasas are Moola Dasa (described in Kalyana Varma's Saravali) or the Dasas described in Chapter 8 of Varaha Mihira's Brihat Jataka. Most appropriate for general purposes is Vimsottari Dasa. Yogini and Kalachakra Dasa are frequently used, too.Other Dasas are more difficult to use and often have conditions for their applicability. Beginners should not use these Dasas until they have enough experience in Dasa prediction (through Vimsottari, etc.). Details can be found if you follow the links. This section is devoted to the calculation Dasa Balance. Dasa balance is used to determine the elapsed time of the first Mahadasa at the time of birth. Vimsottari Dasa is the most important Dasa of Vedic astrology. This Dasa is extensively described in Parasara Hora Shastra and is called the supreme Dasa of Vedic astrology (together with Kalachakra). It is a strange fact that some supreme classical texts (Saravali, Brihat Jataka) do not mention this Dasa at all. Vimsottari is a Nakshatra Dasa that is based upon the position of the Moon in her Lunar mansion. Each Nakshatra has a planet (or Node) as its lord. There are in total 9 lords. Each of the lords has a fixed period of influence. The total period is of 120 years. Calculation of Dasa balance is described in the chapter above. The basic rules for this Dasa are given in the next table. Antardasas are calculated according to the proportional values of the lords. Antardasas begin with the lord of the major Dasa. Each lord has a propotional time of influence. Example: The Moon's Dasa is of 10 years. Each Antardasa contributes the same proportional value as indicated by the portion of the Mahadasas. So Moon/Moon will be of 10 * 10/120 years = 10 months. Moon/Mars will be of 10 * 7/120 years = 0 years 7 months, etc. Each Dasa has several influences. The dignity of the Dasa/Antardasa lords in Rasi chart are of high importance. Their house positions must be regarded with care. Navamsa position is important, too. Special aspects of life should be predicted from other Varga charts (like children from D7, siblings from D3). The Mahadasa lord becomes Lagna for the time of the Dasa. Antardasas must be regarded relative to this Lagna. Friendship and enmity of the Dasa and Antardasa lords are important. So inimical relation between Dasa and Antardasa lord can be inauspicious even if their house positions and strengths are good (and vice versa). Most events happen in appropiate Antardasas. Events indicated by Mahadasas are most likely to happen in appropiate Antardasas. The natural character of the Dasa/Antardasa lords is not so important in Vimsottari Dasa (let's say 15%). Combination of Dasas is important. So events indicated by Vimsottari will surely happen if Yogini and Kalachakra Dasas agree. House and Nakshatra positions of running planets should be regarded, too. So Gochara and Sarvatobhadra can give valuable hints if (and when) events will come true. Yogini Dasa is another important Dasa of Vedic astrology. It is most frequentlty used in North India. It is (similar to Vimsottari) a Nakshatra Dasa that is based upon the position of the Moon in her Lunar mansion. Each Nakshatra is assigned to a Yogini. Each Yogini has a corresponding planet or Node. There are in total 8 Yoginis. Ketu does not play a role in this Dasa. The total period of Yogini Dasa is 36 years. The conditional Dasas described in this section are special Nakshatra Dasas. These Dasas have conditions for their applicability. So they are only applicable to specific charts. Some of the conditions are quite restrictive, so the condition for Panchottari Dasa: Lagna and Dvadasamsa Lagna must be in Cancer, this condition matches only for 1/144 of the charts. Other conditions are not so restrictive. The conditional Dasas are exposed in Parasara Hora Shastra. The table below gives the hints for applicability. Dvadashottari Ascendant is in the Navamsa of Venus. Or: Ascendant is in the Navamsa sign of Venus (Shukramsa). Shatabdika Ascendant is Vargottama, i.e. Rasi and Navamsa Ascendant occupy the same sign.